The Montana Megaliths are located precisely on the #17 to #8 grid line on this USA map based on the world map above. ​The Montana Megalithic sites line up on a major earth energy grid line that connects Angkor Wat to Nazca, Peru represented by the pink line. The pink line is also known as the Allison Grid Line. 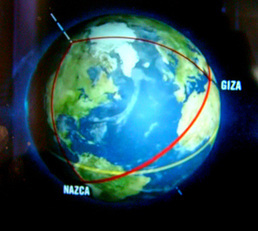 The blue line represents a 24,860 mile long and 62 mile across earth energy grid corridor. This corridor circles the globe connecting sacred and ancient megalithic sites. The blue line is drawn along a 62 mile wide earth energy grid corridor which circles the globe passing through Easter Island then the Nazca Lines, Cuzco and Manchu Picchu as well as four other megalithic sacred sites in Peru. 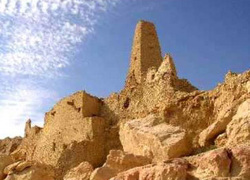 The grid crosses the Atlantic ocean to Dogon Country in Mali, the Giza Pyramids and the Siwa Oasis in Egypt. The grid line continues connecting the ancient sandstone architecture of Petra in Jordan to Ur in Iraq. Then the energy grid corridor represented by the blue line crosses Persepolis in Iran (ancient Persia) and on to Mohenjo Daro in Pakistan. Next the grid corridor moves to the sculptured Hindu temples in Khajuraho, India. On to Pyay, Burma which was the ancient capitol of the Pyu nation. 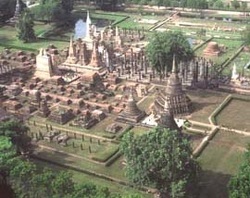 Then the grid crosses Sukhothai in Thailand. 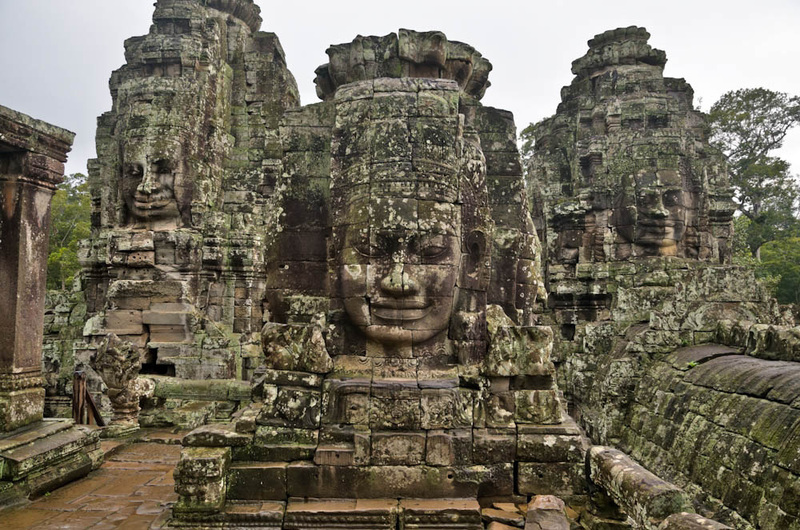 Next the grid corridor lines up Angkor Wat and Preah Vihear in Cambodia. Then the corridor connects across the Pacific Ocean having circumnavigated the globe and returned to Easter Island. Andrew Barker of Merlin Burrows announced: "We have undertaken an extensive deep scanning project and already it has shown huge amounts of data on the history of this area. It is the combination of science, native myths and legends, glyphs, massive research and unquestionable images that lead to initial conclusions. ​"Now we only know a fraction of the macro picture; but that is enough to understand the sites importance. The archaeologists will need many decades to formulate the micro picture. We must expect with a site of this scale that this could last into the next century. ​"Bingo! Montana Megalithic structures are incredible, vast, ancient, ever surprising, informative and real. The Merlin Burrows Team are delighted to be working alongside Julie Ryder and her team." ​Julie and Bill Ryder are now offering facilitated visits to selected dolmens, megaliths and pictograph sites in Montana, USA. ​Several dolmens and megalithic sites line up on a 62 mile grid line across the mountain tops of Montana in the USA. Evergreen Dolmen at Giant's Playground. Precisely lined up on the Montana Dolmen Grid Line several dolmens and megalithic sites were constructed on a diagonal trajectory between the Allison Grid Line and the Torus North Grid Line. The Megaliths at Pipestone are precisely on the Allison Grid Line which connects Angkor Wat to Nazca Peru, This Allison Grid Line is illustrated in pink on the globe graphic. Parallel to the Allison Grid Line the Torus North Grid Line runs from the Big Horn Medicine Wheel in Wyoming diagonally across Montana connecting several petroglyph and pictograph sites, Medicine Wheels, Sun Wheels, Mountain Figures and the Montana Vortex. 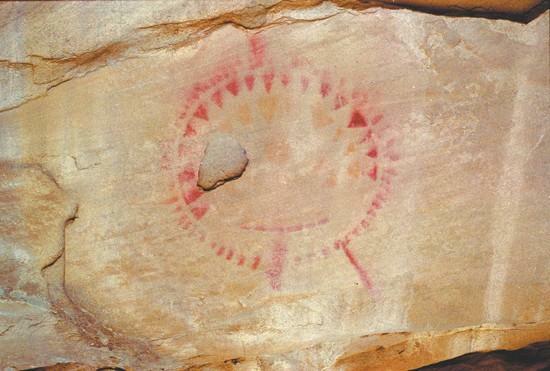 Several examples of the World Wide Ancient Language symbols are carved and painted on stone at numerous petroglyph and pictograph sites that line up across the Montana landscape. Indigenous Elders have interpreted several of these symbols which was a major contributing factor to the discovery of the Montana Megaliths. 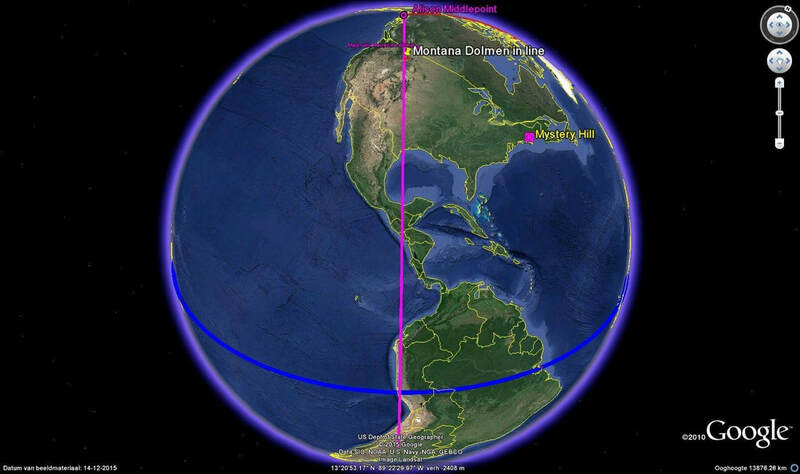 The section of the Torus North Earth Energy Grid Line that I have figured out so far is positioned diagonally across the state of Montana starting at the Montana Vortex in Columbia Falls. The Grid Line proceeds southeast to the Big Horn Medicine Wheel just across the border into Wyoming. The Montana Dolmen Grid Line intersects the Torus North Grid Line somewhere between the Shaman Rock and the Gates of the Mountains. Flat two dimensional maps slightly distort the exact locations as the earth is curved so therefore these sites do not appear exactly in line on a two-dimensional map. I named this grid line Torus North because of the several torsion field energy vortexes that occur along this trajectory. We have been drawn to these sites and have activated them. Several pictograph and petroglyph sites depicting Shaman Journeys in the distant past are recorded here. See Montana Earth Energy Grid Page for more details. 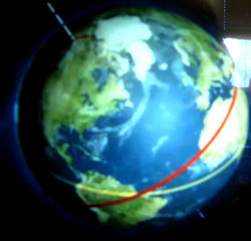 This globe illustrates a 24,860 mile long and 62 mile across earth energy grid corridor. This corridor circles the globe connecting sacred and ancient megalithic sites. 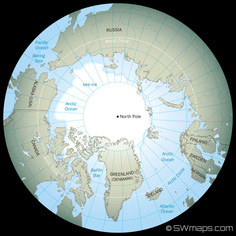 When this grid corridor is positioned as if it were the equator then the North Pole is demarcated on the Pacific Coast of Canada. The Montana Megaliths are exactly on the 62 mile corridor grid line drawn from Angkor Wat in Cambodia across the Canadian North Pole to Nasca, Peru. This section is a presentation of images following the ancient megalithic and sacred sites that line up along the global energy grid corridor. Many of the sites were built over ancient ruins of much older advanced cultures. These photographs follows the same order as the horizontal grid line, narrative and global maps above in the section with the same title. 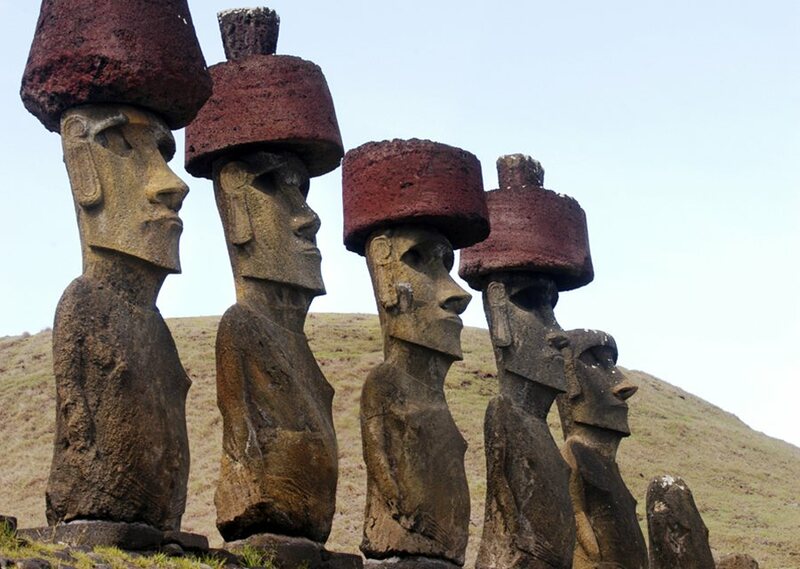 Easter Island in the South Pacific is famous for the Great Moai statures. 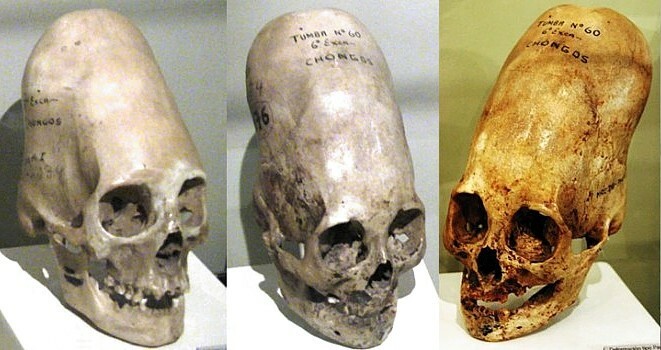 Paracas in Peru is the site where over 300 elongated skulls were discovered. DNA tests show that they are a new human-like creature, very distant from Homo sapiens or Neanderthals. 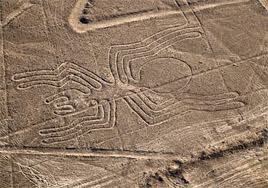 Enigmatic Nazca Lines of Peru are seen only from the air. This single line etching is 165 feet long. 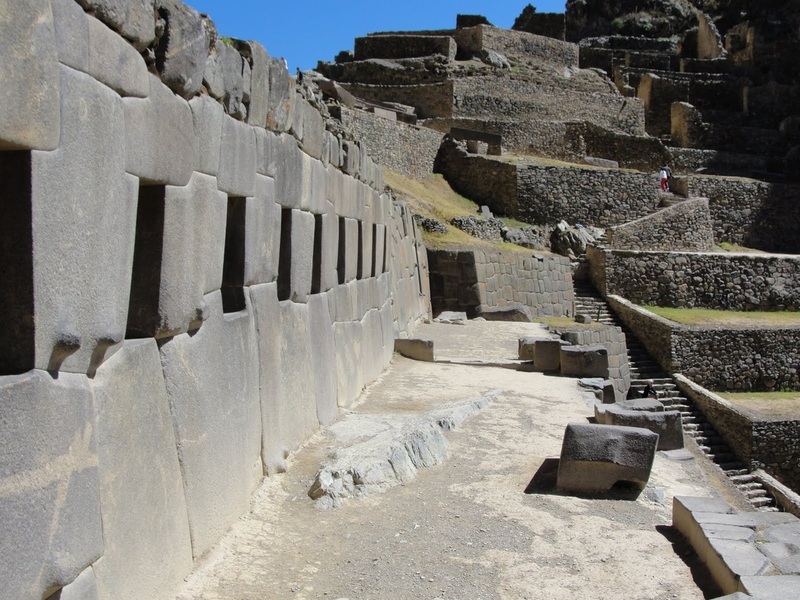 Ollantaytambo is an an ancient megalithic site in Peru. Machu Picchu in Peru is one of the most famous site of ancient ruins in the world. See photo of face above. Ancient concentric circular terraced bowl of Moray is located in Cuzco, Peru. 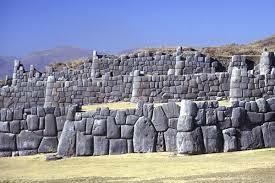 Sacsayhua is an ancient megalithic fortress that overlooks Cuzco in Peru. Paratoari is jungle area in Peru where satellite photos show eight large pyramids in two symmetrical rows. The Dogan Tribe in Mali, Africa believe they came from a planet that orbits another star in the Sirius system. Cave drawings show Sirius B and Sirius C as well as their trajectories. depictions of strange beings with helmets and suits, resembling modern-day astronauts. of the ancient Temple of the Oracle of Amun where Alexander the Great consulted the oracle. 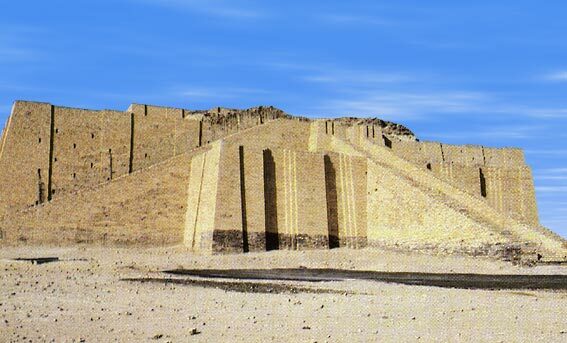 Ur in Iraq is the birthplace of Abraham and the ancient Ziggurat of Ur. Persepolis in Iran was the capital of the Achaemenid Empire. 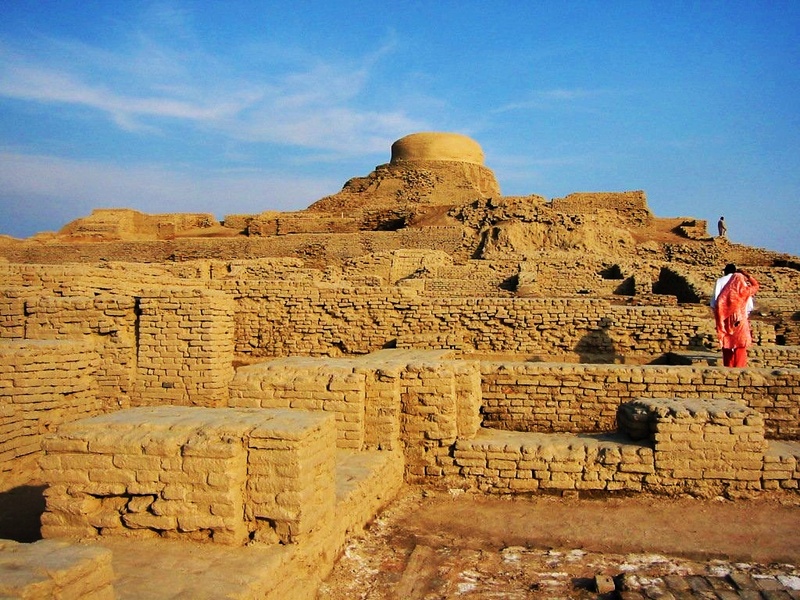 Mahenjo Daro, Pakistan where writing on stone matched writing found in Easter Island. Khajuraho, India was known as the Home of the Gods. 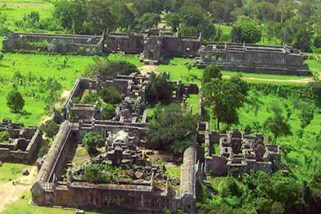 Pyay, Myanmar was founded in 343 BC and was the capital of the Pyu dynasty of Vikrama in Burma. 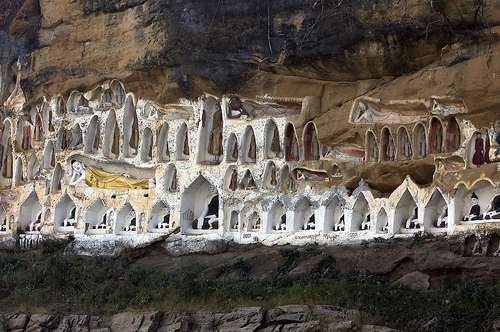 Akauk Taung Caves shown above. Sakhothai in Thailand where the ruins of a far more ancient city are preserved in a park. Preah Vinear in Cambodia is an ancient Hindu temple which is unusual among Khmer temples in that it was constructed along a long north-south axis. It is truly extraordinary that so many ancient megalithic and sacred sites are lined up along a 62 mile wide corridor around the globe. Teotihuacan ('the place where the gods were created) near Mexico City features three large step pyramids. 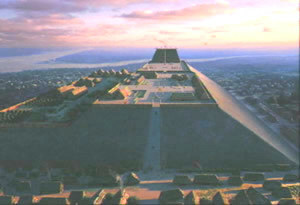 The oldest pyramid complexes in Mexico, align with the pyramids in Egypt and hundreds of flat top pyramids in China. This pyramid energy grid line intersects with the 62 mile corridor at the Giza Pyramids. the physical medium directly potentially supplying a limitless supply of energy." The crystal pyramid found in the Bermuda Triangle and the pyramids at the Shen-hsi site in Xi'an China are 180 longitudinal degrees apart and at the same latitude.
" Emperor Qin Shihuang’s tomb (home of the terracotta warriors in Xi'an province) was proven (using radar and other remote sensing technologies) to be a nine-stepped pyramid, very similar to those in Central America." The image on the left is the shape they believe the pyramid takes. Klaus Dona recently made another fascinating correlation about the global earth energy grid. The original Youtube which was presented in German was taken down from the internet. The illustrations were in English and I have captured some of his information here. In 1970 while living in San Jose, California I became friends with Marcel Vogel who invented the Vogel Crystals. 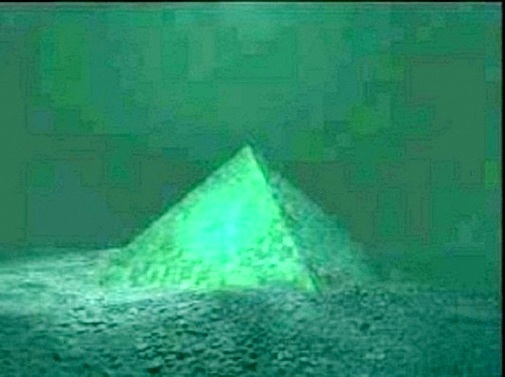 Marcel told me about the discovery of an underwater crystal pyramid in the Bermuda Triangle. Linda Moulton Howe announced the Alaskan Pyramid discovery. I did the math and added this branch of the grid structure to Klaus Dona's original discovery. Starting at the North Pole draw a trajectory exactly 6,666 kilometers to Mount Kailash in Tibet. Mount. Kailash has the unique distinction of being the world's most venerated holy place. It is considered an supremely sacred site of four religions and billions of people. 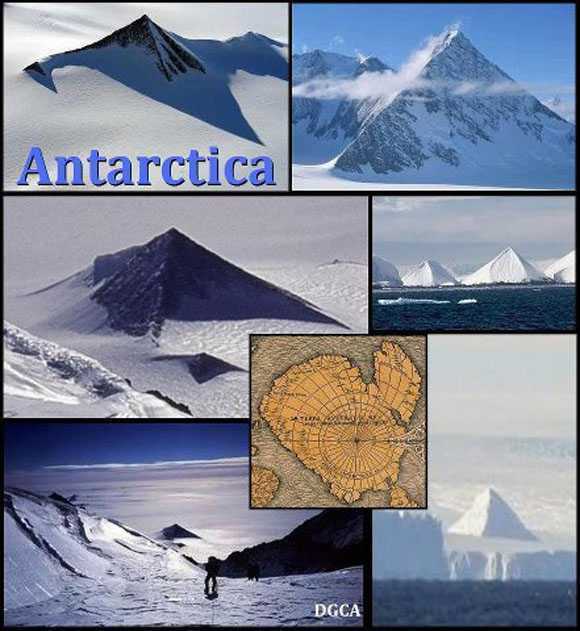 From the Crystal Pyramid in the Bermuda Triangle to the Alaskan Pyramid is 6,66? kilometers. Six thousand six hundred and sixty something kilometers is the closest that I could calculate based on google maps and coordinates. This Alaskan pyramid located within the Alaskan Triangle is 650 feet high and mostly underground. More pyramids were discovered in Alaska in 2016. Bermuda Crystal Pyramid to Easter Island is 6,666 kilometers. ancient texts and tribal legends to illustrate that after a cosmic war eons ago a group of high technologically advanced giant humans built megalithic sites in three stages. 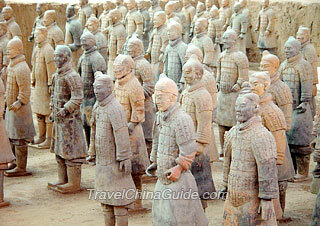 The oldest sites are the most complex level of technology with precise orientation to compass directions. Megalithic sites and temples are built where these energy grid lines cross at conductivity/ discontinuity points. Newer temples and monuments were often built over far more ancient sites. 3,000 prehistoric stone circles and single standing stones lead to the conclusion that "every one is aligned to neighbors up to twenty miles away at an angle of 23.5 degrees or a multiple of that angle." Dolmens on the Montana Dolmen Map appear to be lined up on a trajectory at about the same 23 degree angle. See Dolmens in Montana Page. in Crimea near Sebastopol. Crimea is an autonomous republic of Ukraine, situated on the northern coast of the Black Sea, occupying a peninsula of the same name. Twenty-eight of these pyramids form a huge rhombus with the 29th one in the center. 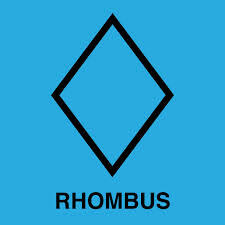 Seven more form a smaller rhombus with the 37th pyramid in the center. 10x109 Hz was noticed. The digging also revealed signs in the surrounding layers that the pyramid had originally been open to the air. Some of the pyramids are under water. 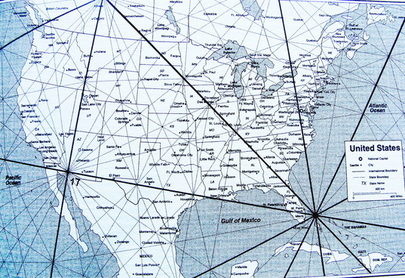 The Major Ley Line map shown above is slightly different from the Planetary Grid System map. Maps vary however every map that I have studied lays out a pattern of an earth energy grid system that is very similar. 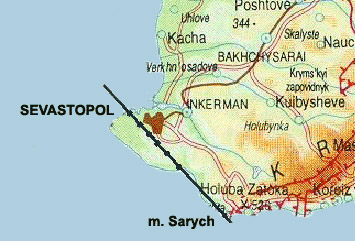 Seven pyramids line up along one side of the major rhombus across the southern edge of the Crimean Peninsula. It was also found out that on the same line, in one direction is Stonehenge, and in opposite direction are pyramid in Bhutan which was originally part of Tibet. 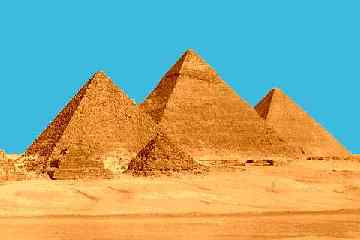 Ground penetrating radar shows the central pyramid is 72X72 meters at the base and 45 meters high. There is a large sphinx type carved head attached to the west facing side. Finally more information is coming out regarding the scientific verification of the Crimea Pyramids. pre-dating any other structure found to date. 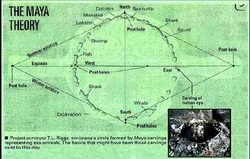 See Ancient Technologies Page for more information about the cymatic sound signatures of these stone circles in Southern Africa. The major north/south vertical grid corridor connecting nodal points #8 to #17 which passes through Montana is covered in great detail on the Montana Earth Energy Grid Page. This section focuses on major nodal point #18 at the confluence of 10 major grid lines which is off the coast of Florida and the major grid corridors extending from confluence nodal point across Cuba, Mexico and the USA. These maps were reprinted to make it easier to reference the sites described below. Each of these major grid lines represent a 100 meter (62 mile) wide earth energy corridor. Intersecting the landscape are numerous minor grid lines that meet at nodal points. More and more proof of ancient technology, pre-sanskrit stone writing, archeo-astronomical sites, dolmens, rock cairns and stone circles are being re-discovered in the United States. Many of these sites were built along the major earth energy grid lines and where these lines intersect at nodal points. Native tribal settlements were built over and around more ancient sites. So, lets locate some of these enigmatic sites on the energy grid map of the United States. Off the coast of Florida, at nodal point #18 is the location of a crystal pyramid found in 1968 and recently rediscovered by a French team in the Bermuda Triangle. This structure is larger than the Giza Pyramid. See Ancient Technology Page for details. Extending south from nodal point #18 are 2 major and 3 minor grid lines that dissect Cuba. 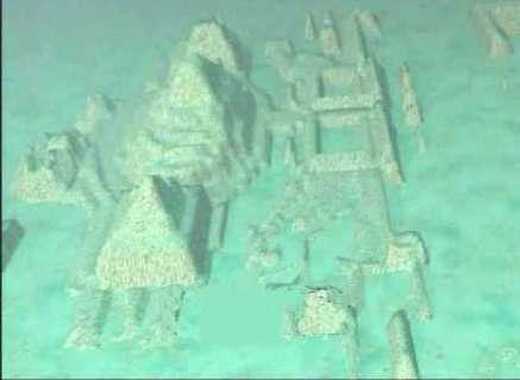 Just off the coast of Cuba is this underwater pyramid complex. See Ancient Technology Page for the story. Continuing to rotate clockwise from nodal point #18 the next major grid corridor #18 to #32 crosses the tip of Florida and then projects to Teotihuacan pyramid complex near Mexico City. The Miami Circle in Florida once served as the "foundation slots" for a ring of 30 upright stones which was an archeo-astronomical Stonehenge-like device for observing the solstices and equinoxes. 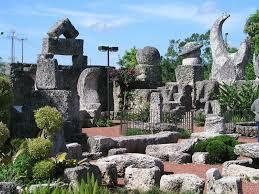 Near Miami, Florida is the Coral Castle built by Edward Leedskalnin who devised a means to single-handedly lift and maneuver blocks of coral weighing up to 30 tons each. Logic suggests that he used the scalar wave energy of the nearby earth energy grid nodal point. Rotating clockwise the next major grid corridor extends from nodal point #18 to #17 across Texas. The nodal point in east Texas aligns 8 minor grid lines. In this area the Caddoan Mississippian culture built mounds and settlements although there has been little excavation. Continuing west along the #18 to #17 grid line near El Paso, Texas is Alamo Canyon harboring a trove of ancient art (photo left) and archaeological sites. Alamo Canyon contains at least 16 rock art panels—more than 500 images carved (petroglyphs) or painted (pictographs) on the rocks. Follow the next major grid corridor diagonally across the USA from nodal point #18 to #8 on the world Planetary Grid Map above to southern Illinois. 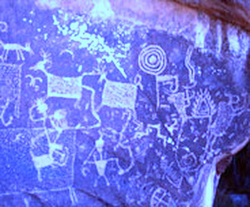 Burrows cave contained several examples of the pre-Sanskrit writing which matches the same script found around the world and in Montana. Artifacts of pure gold that appear to be Egyptian were found in the cave. Klaus Dona confirmed that the stones in Illinois are the same Pre-Sanscrit writing found around the globe. He recently stated that ground penetrating radar has revealed more channels containing artifacts in Burrows Cave. Following the #18 to #8 energy grid corridor northwest toward Canada the next ancient site is Cahokia, Illinois. Warren Ramey, former Chief of the Southern Cherokee, took us there in 2008 to teach us about the calendar and the ancient civilization of his ancestors. The calendar of Woodhenge is illustrated on a display above my right shoulder. A white orb appears in the calendar of this photo that I took of Woodhenge at Cahokia. Posts were inserted into deep holes in the ground to illustrate the alignments of an ancient calendar system. 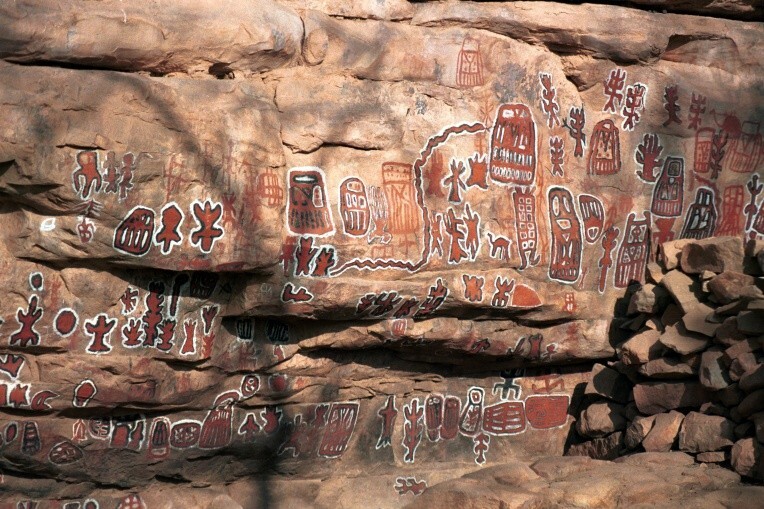 poly-chrome pictograph site in North America. Just behind my right shoulder displayed in the photo of Woodhenge (left above) note that a corridor extends out of the calendar circle at about five o'clock. Monks Mound in Cahokia is the largest Pre-Columbian earth works in the Americas and the largest pyramid north of Mesoamerica. (Wikepedia). Inside some of the buildings the scientists found pigment stones, crystals, and “unusual” half-spheres made of fired red clay — items thought to be key to Cahokian rituals. 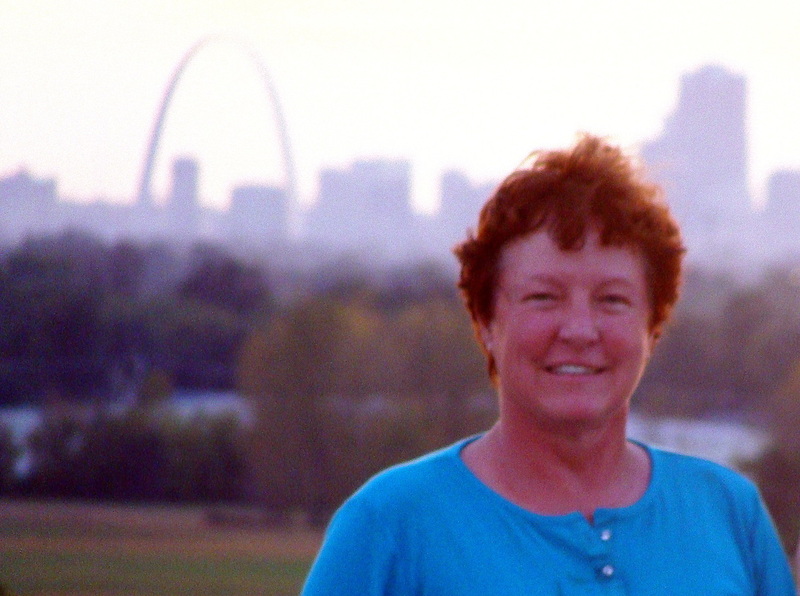 A view from the top of Monk's Mound in Cahokia includes the city of St. Louis, Missouri which was built across the river. One of the greatest cities in the world, Cahokia was larger than London in the year 1250. Cahokia, illustrated above at it's zenith, covered at least six square miles and included about 120 human-made earthen mounds in a wide range of sizes, shapes, and functions. Writing Rocks in North Dakota is on the #18 to #8 energy grid corridor near the Canadian border. This photo is actually petroglyphs that have been colored in to become more visible. This is a different script than the Pre-Sanskrit writing, however most of the stones in the patterned structures have been removed by farmers. Back to the major nodal point #18 and rotate clockwise once again to the #18 - #9 major grid line corridor that proceeds north crossing the eastern United States through northern Virginia. 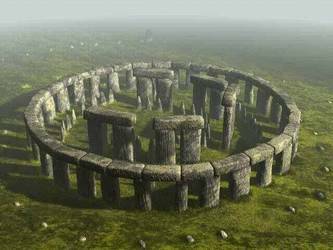 Bluemont, Virginia — "Concentric stone circles near rocks weighing more than a ton - apparently aligned to mark solar events - are believed to be part of a Paleo-Indian site that an expert has dated to about 10,000 B.C. Higher up the mountain are several large boulders that appear to have been stacked on top of each other to create a table-like structure." It sounds to me like he is describing a dolmen. The most documented stone circle and dolmen site in the United States is in New Salem, New Hampshire. Although this site does not align on a major grid line according to the map it still reveals a pattern of megalithic construction in the US. Glenn Beck presented documentation of the policy of the Smithsonian to cover-up and destroy evidence of advanced ancient cultural artifacts and construction in the United States.